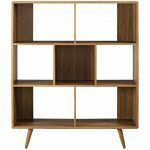 Challenge uniformity with Transmit. 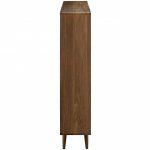 Made of particleboard covered in smooth walnut grain veneer, this three-tiered bookcase comes supported by four splayed dowel legs and features offset shelf dividers for a modern aesthetic. 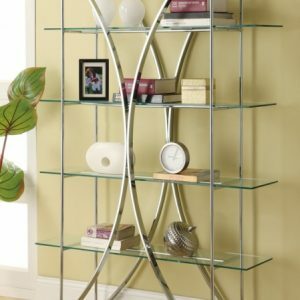 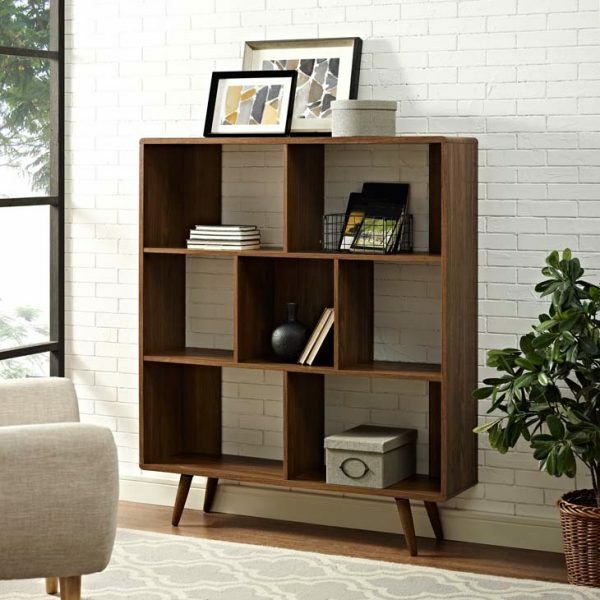 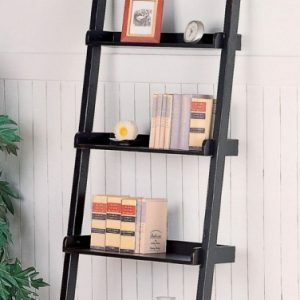 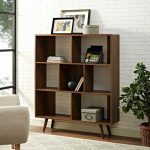 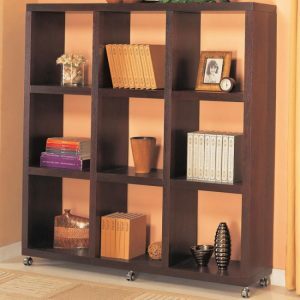 A sturdy bookcase with a mid-century aesthetic and open linear design, Transmit converts an any empty corner of the living room, hallway or entryway, into an area perfect for displaying reading materials, photos, accent pieces and collectibles.